I’m excited to announce that I’ll be selling my soap at the Hudson Flea again this summer! (I’ll be at every show except July.) As a result, I’ve been busy in my soap lab making all of my customer favorite varieties, like Handmade Honeysuckle soap (shown above) and a few new designs and scents that I’ll unveil in the next several weeks. I hope to see some of you North East Ohioans there! Mielikki – The Instagram account for Auntie Clara’s Handmade Soap is full of gorgeous soaps that, frankly, make me quite jealous. Clara Lindberg is a true artisan. Freesia – This delicate design from Long Winter Soap Co. looks like colorful tree bark. Manly Man Soap Set – I may make most of my own soap, but I’m also a customer. One my favorite soap shops is Rocky Top Soap Shop, located in Maine. I’m a huge fan of their soap! How to beat the employment blues – This is a great read for any cubicle dweller who is feeling less than thrilled with their day job. Yoga goat – What could be better than yoga? Yoga with a goat! Pics from the upcoming season of Game of Thrones – What in the world happen to Bran? He’s all grown up! Sometimes a soap design, like the design for the Honeysuckle soap above, is a result of a huge mistake. Check out how I capitalized on my soaping failure. This post shows what I was going for all long, but, I’ve since abandoned this design in favor of the one above which is a bit more sophisticated. With several social engagements, seeing Star Wars: The Force Awakens (awesome) and staying up to watch the reboot of the X-Files (awesomer) last night, this little soap maker is plum tired out. Luckily, I did find time to play around in the soap lab on Friday. I’m trying to formulate a soap that will help my own combination skin. I used Dead Sea clay (shown in the picture above) and tea tree oil. It’s still too soon to say how this soap turned out but I’ll keep you posted! Honeysuckle soap – Who made this soap that looks like owl eyes? Hallowell Soap Works, that’s who. I love it when swirls end up looking like something! Spinning swirl – Creative Soap by Steso made this amazing 12 color swirl. I think it’s very creative! Festival – Its a festival of color in the example of a spin swirl from Jabones Ramy. The color contrast is beautiful! How to help the people of Flint, Michigan – Looking for ways to help the people of Flint, Michigan during the water crisis? This Huffington Post article has some great ideas. Story Corp always makes me cry (in a good way) – This heart-warming story is no exception. The wonders of bird migration – Every time I watch this animation showing the migration routes of 118 species of birds, I see something new. I only wish they had the dots labeled so I knew which bird is which. Emmet Street Creations would like to wish a very happy (if belated) birthday to Dolly Parton. My co-blogger, Kelly, is a huge fan and she spelled out why in a post last year. She even travelled to Knoxville to see Dolly perform in person and to experience the wonder of made-from-scratch Southern biscuits. Who’s your favorite musician and how far have you traveled to see them perform? My entire adult life, I’ve had awful breakfast habits in that I’ve had no breakfast habits. Aside from my morning cup of coffee, I usually don’t eat anything substantial until lunch. The older I get, the more I feel the negative effects of this throughout the day. I’m often sluggish and hangry for all the chocolate by 10 A.M. I’m realizing that in order to fuel my body and keep my energy level going, I need to start the day with more nutrients. The problem is that I’m never really hungry when I wake up so things like cereal, oatmeal or eggs don’t tempt me. But, since I’ve been good about drinking 8 ounces of water first thing in the morning, I decided to step up my liquid intake game by drinking green smoothies in the morning. This weekend, I spent an hour packing single serve bags of smoothie ingredients so when I wake up, I can quickly blend up a healthy nutrient packed drink. 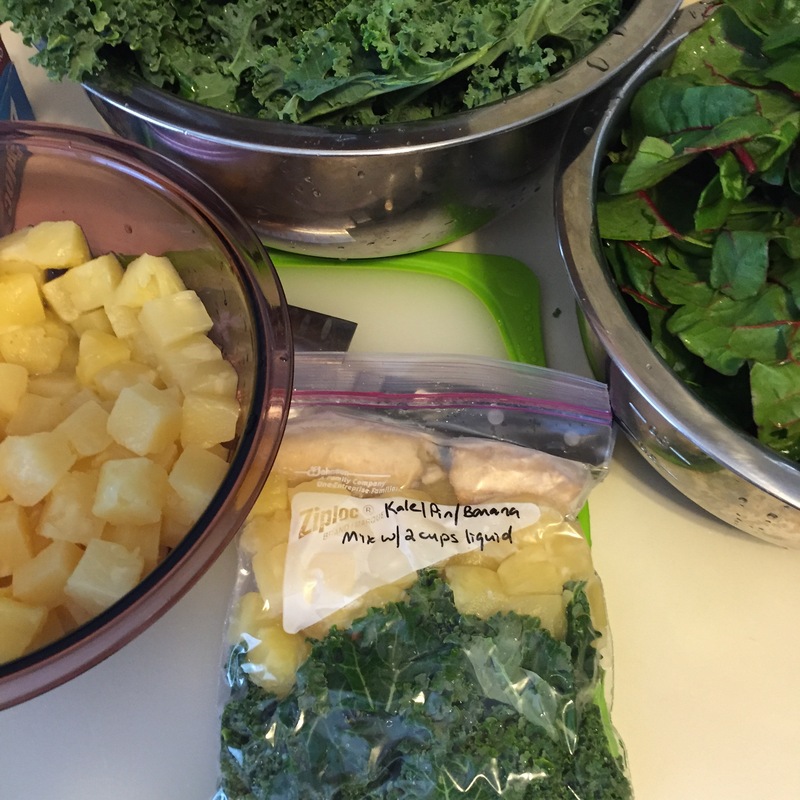 The bags contain equal parts greens (like kale, swiss chard and spinach) and fruit (like pineapple, blueberries, and strawberries) plus a banana. I made enough to freeze eight days worth of smoothies and each bag is a little different so I don’t get bored. When I wake up in the morning, all I need to do is take a bag out of the freezer (or refrigerator if I remember to thaw it the night before), dump the contents into my blender with two cups of juice or non-dairy milk and blend it up. While this sounds easy, my 5 A.M. brain may disagree so I even included the ingredients and instruction for blending on each bag. I did a test drive of a couple recipes over the weekend. They were delicious and I felt an immediate change in my energy levels throughout the day. I’m looking forward to getting up this week and trying a new, delicious smoothie each day and reaping the benefits of proper morning nutrition! And now, on to the rest of today’s musings! 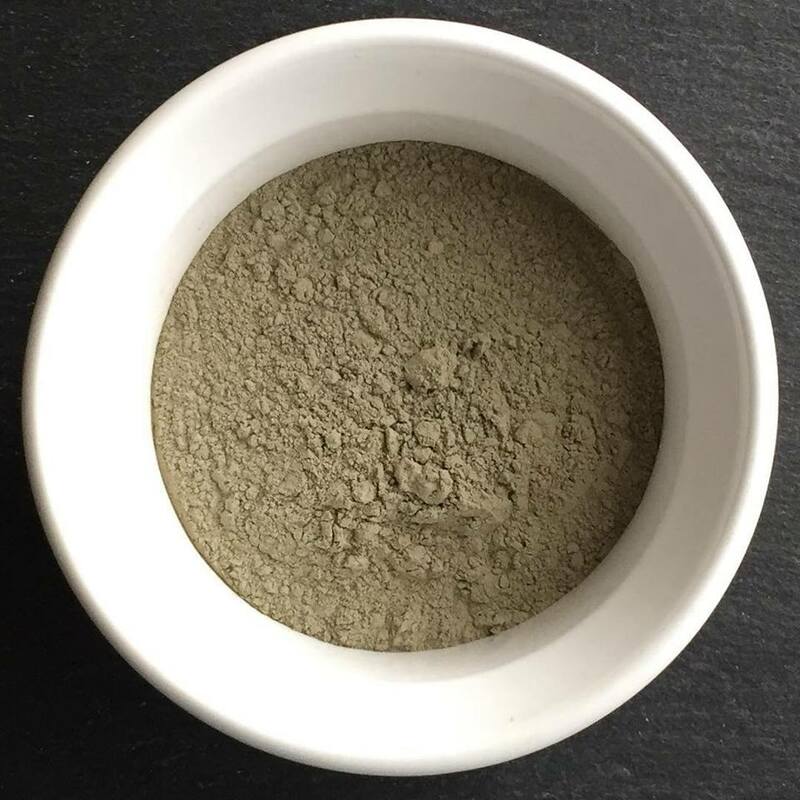 Marshmallow Root Shampoo Bar – I’ve been reading a lot about how to make shampoo and shampoo bars. I like the look of these rustic bars from Sustain, Create and Flow. Natural Rosemary Mint Shampoo – This recipe from Soap Deli News is for a more traditional cream shampoo and it looks easy enough that anyone could make this at home! Tea Tree Shampoo Bar – When I’m researching new types of soap to make, I always end up with The Soap Queen. This luscious looking bar of soap is made with tea tree oil, which is great for scalp issues! The sixth great extinction – We’re going through it now. One photographer is trying to photograph as many species as possible before they are lost forever. Unnatural balance – See how our food waste affects not only humans but many other species on the planet. Dog with a selfie stick – Maybe those last two links weren’t so much “fun” as they were informative in a, “holy crap the world is ending,” way. To make it up to you, here’s a dog running with a selfie stick. If I’m going to eat a healthy breakfast, I might as well follow it up with a healthy lunch! Salad is easy to take to work when it’s packed ahead of time in a jar. Soup is another favorite lunch treat and my favorite soup recently is Kelly’s creamy mushroom soup (it’s vegan and surprisingly filling). I hope you all had a wonderful holiday season! I started the year on a high note by seeing my 373 life bird on January 1st! This was an incredibly special bird because it really has no business being in Ohio. It’s called a Brambling and it’s a very long way from home. Image credit: Brambling by Kev Chapman, on Flickr. CC by 2.0. This small finch is typically found in Europe and Asia. Occasionally, it crosses into Alaska and can travel into the western United States. More rarely, it can travel east with flocks of other migrating birds. Ohio has seen only one other Brambling. It arrived 28 years ago less than five miles from the location of the current bird. You can read more about the current bird and its location here. Special thanks goes to the owners of the property the bird has been frequenting and to their neighbors across the street who have patiently allowed dozens of birders to stand in front of their house for days. I hope they know what joy they’ve provided to the members of the birding community. Soap behaving badly – If your New Year resolution is to learn how to make your own soap, I recommend learning all you can about the things that can go wrong with a batch of soap and how to prevent problems before starting. The Soap Queen blog is a great place to start. Troubleshooting – From cracking soap, to soap volcanos, a lot can go wrong when making soap. Lovin’ Soap Studio breaks down several common issues and provides great tips for how to handle them. 5 top mistakes when working with color – Color can be one of the hardest things to master. Soapmaking Made Easy breaks down how to get the best color with 5 easy tips. A yeast alternative to palm oil – Palm oil is used in so many products. It would be a huge win for the environment to have a viable substitute. Watermelon water is now a tasty thing – Well, it has always been a tasty thing. Now it’s a tasty thing you can buy! Single oil soap experiment– Here is another great way for novice soap makers to learn about the properties each oil brings to a bar of soap. Last year I started a series called, “Soap Making Secrets” to help educate my readers and customers about the many different components that go into making a batch of soap. If you’re new to the blog and want to learn more, I recommend starting with “Why buy handmade soap,” “Is lye safe to use in soap,” and “Why is handmade soap cured.” These three posts answer the most frequently asked questions I receive about the soap making process. Look for further secrets to be revealed throughout 2016. If there’s something you’d like to know about the soap making process, leave your question in the comments and I’ll do my best to answer it in an upcoming post. New Year’s Day is fast approaching and soon it will be 2016! (Someone please tell me where the time goes when it flies away?) 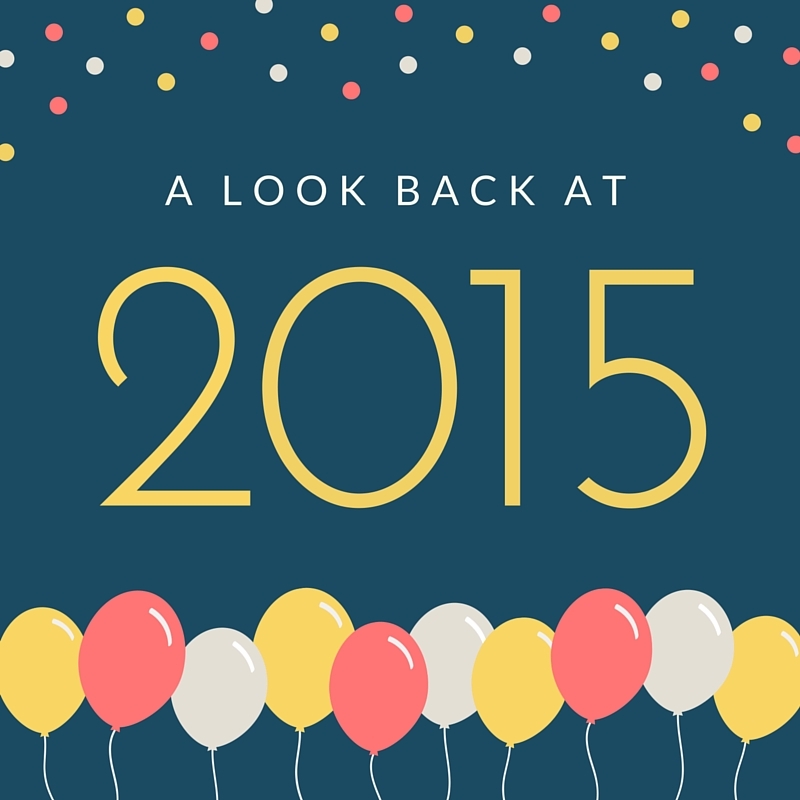 So today I’m taking a look back at the moments that shaped 2015 for Emmet Street Creations. There are so many creative soap makers that inspire me. You can check out some of my favorite finds on Pinterest! 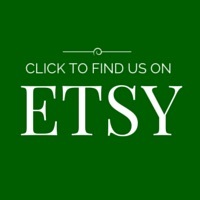 I would normally feature them here but, this week, I thought I’d share the best-selling soaps of 2015 from the Emmet Street Creations Etsy store. Crisp apple and rose – Scented with a perfect mix of apple and rose fragrance, this soap is not too fruity and not too floral. It was a big seller at the shows I did this year! Exfoliating rosemary and mint – The eye-opening scent and exfoliating juniper berries keep customers coming back for more! Soapy sample pack – Can’t decide which soap to buy? This item is for you! You’ll get three amazing soaps of your choice for only $12! How to be a cat – If only it paid well. DIY seed starting – Thinking about starting your own seeds? These DIY seed starting tips from Farm and Dairy actually look doable. I treated myself to a new gadget for the soap lab – My first experiment making a batch of soap in a slab mold! DIY: How to use annatto seeds to naturally color soap – Soap á l’orange is still one of my favorite soaps to make and I still use annatto to color it. DIY: Make a hanging soap pouch using only a washcloth – For the second year in a row, this was the most searched for and most viewed post on the blog! What moments defined your 2015? Share them in the comments below or on the Emmet Street Creations Facebook page! I’ve been taking some much needed time off the last few weeks. Matt and I traveled to Costa Rica for the second time and had a wonderful vacation. 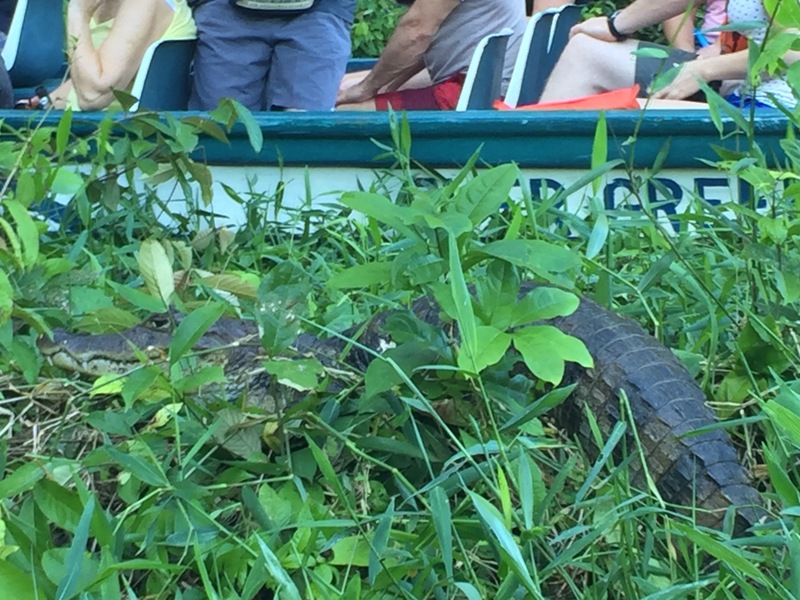 We went to three different areas, saw 118 species of birds (74 new life birds) and many different animals including spider monkeys (who, thankfully, did not come at us). The highlight of the trip? Seeing baby sea turtles emerging from their nests and making a run for the ocean in Tortuguero National Park. I don’t think I’ve ever felt so close to the force of Mother Nature as I did watching these tiny little hatchlings fight their way out of the nesting hole, across the sand and to the ocean. I’m not ashamed to say I cried a little. You can view a video of the turtles (not me crying) here. (Disclaimer: I am not a professional videographer.) You’ll hear a guide instructing a group of tourists to be careful about where they walk. She was as excited about seeing the turtles as everyone else! Felted soap sheep – Have you ever tried felted soap? It’s a bar of soap that is covered with felted wool so you get your soap and wash cloth all in one! This whimsical design from Bondurant Mountain Art would make a great gift for a child. Sea coral – Twiddle and Thread has a great collection of felted soaps on their Etsy site, including this stunning soap in beautiful contrasting colors. Cat head scent – I had no idea cat heads smelled like anything. My cat barely lets me pet her, let alone sniff her head. Just say no to microbeads in your beauty products – Thanks to a bill recently passed by the house, the use of microbeads may soon be a thing of the past. In the meantime, please avoid using products with these harmful substances. DIY air freshener – I actually tried this and it works! We’ve had amazing weather in Ohio this fall so when we get the chance, we are outside enjoying it. 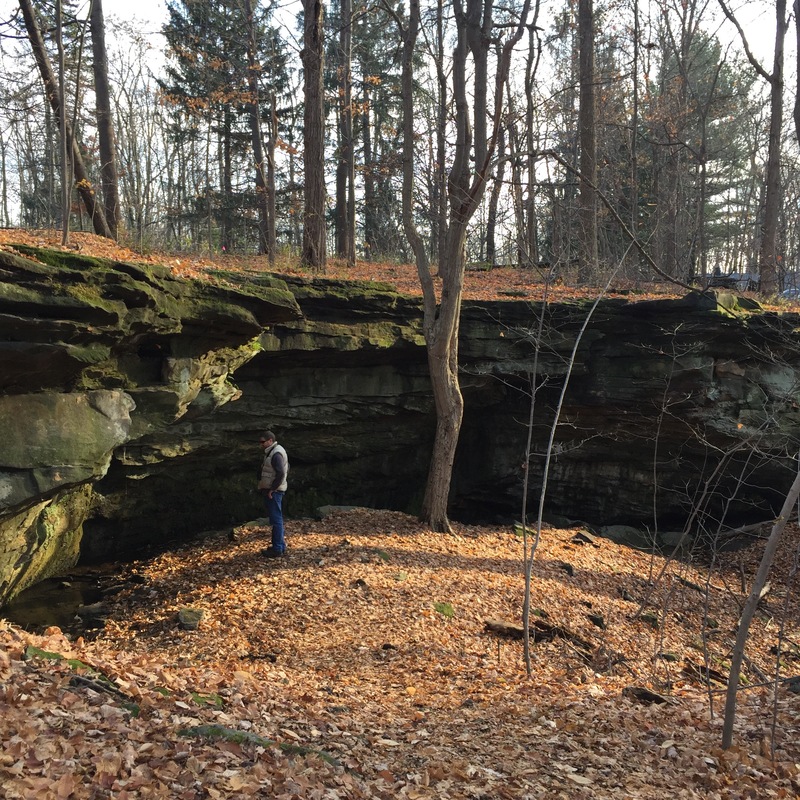 Last week, we found a “new to us park” near Brunswick called Princess Ledges Nature Preserve. It’s a small park but it’s packed with character. The beautiful rock ledges were worth the trip! DNA helix swirl – Part of the fun of making soap is figuring out what the top of the bar will look like. This DNA helix soap from Jelena at Soap Techniques is beautiful! It almost looks like a Monet painting. Mexican lace – Clara of Auntie Clara’s is a master at making elegant soap with unique tops like this amazing Mexican lace soap. How to avoid the 3 p.m. slump – Does your work productivity come to a screeching halt around 3 p.m.? Try some of these tips to get back on track. The holidays will be here before you know it. Are you ready for all the gift giving? No? Don’t fret, we’ve got some easy ideas for gift baskets that will satisfy even the most fussy person on your list. Want to pamper the host or hostess of your next holiday party? We show you how to create an amazing spa day basket for them. After all that cooking, they’ll appreciate it! Treat the tea lover in your life to a basket filled with their favorite tea, a cute mug and aromatic bath tea. Need a gift for your child’s teacher? Give them the gift of health. We show you how with our teachers gift basket idea.